#VolunteersWeek: A star volunteer at a Star Club! Robin Blackstone is one of our super-talented volunteers who runs a Star Club at Irchester Community Primary School in Northamptonshire. Star Clubs are outstanding Code Clubs with friendly volunteers and supportive teachers and venue representatives, which are open for new or prospective volunteers to visit as an example of best practice and all round awesomeness. “I got involved with volunteering for Code Club because I was tinkering with Raspberry Pi computers and wanted to do something to support the educational ethos of the project. When I then stumbled upon Code Club, it was a natural fit. Code Club was the kind of thing I would have loved to have done when I was 10 but didn’t get the opportunity. I find that there is an enormous sense of satisfaction when a child finally gets their own game working after spotting a critical bug, or when you realise that the children can navigate their way around Scratch quicker than you! As a parent, volunteering at the Code Club has also enabled me become more involved with the school that my daughters attend. My best Code Club moment was when we took three of our coders to Cambridge to take part in Pi Wars. Together we built and programmed a robot and competed against the “big kids.” We didn’t win but it really inspired the children. 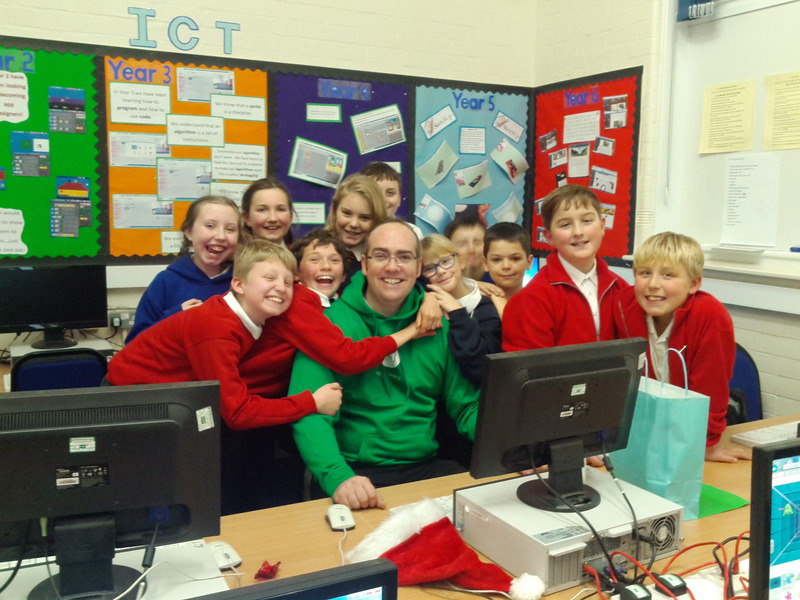 Code Club is important to me, firstly because it is important to the kids in my club. Secondly, because when I was at school an interest in computing made you a nerd. Now, Code Club is helping to make coding cool – even Will.i.am is into it – who would have ever thought! Already volunteering and think your Code Club could achieve Star status? You can now apply to become a Star Club here. If you are already a Star Club, you don’t need to reapply, we’ll contact you to tell you how to renew.